NAPERVILLE, Ill. (WLS) -- A Chicago woman is sentenced to 12 years in prison, for robbing two CVS pharmacies while using a syringe as a weapon. Janine Gurgone held up a CVS in Niles and one in Naperville last November. She was caught on surveillance camera with 49-year-old Sanjay Malhotra, who is still awaiting trial. Malhotra was also charged in Niles for a similar armed robbery. 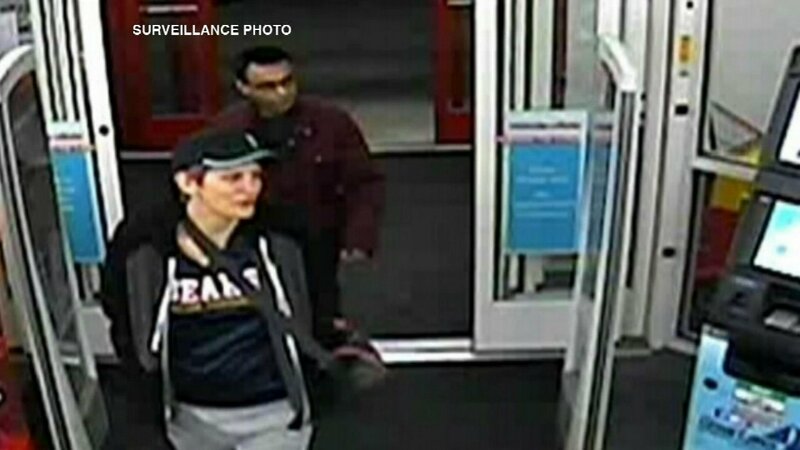 Police say the pair threatened employees of both stores with a hypodermic needle that they said was contaminated with HIV to steal Naperville police said they used hypodermic needles as a weapon to steal over-the-counter medications. Niles police said Malhotra pulled out a hypodermic needle during the incident, pointed it at the worker and said, "You don't want what I have." Police said they got away with about $600 in over-the-counter meds.